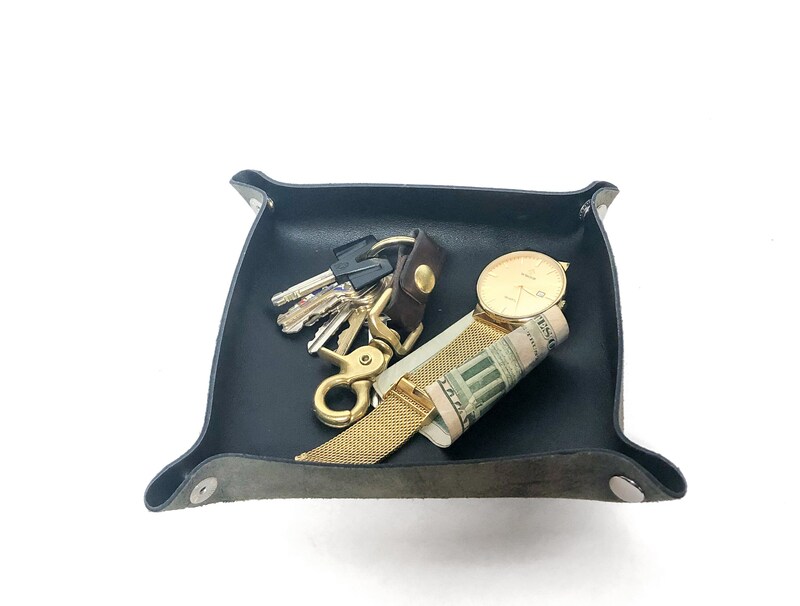 Style Black 8" Black 6" Brown 6"
This simple and handsome valet tray is super durable and classes up any entryway, office desk, or nightstand. 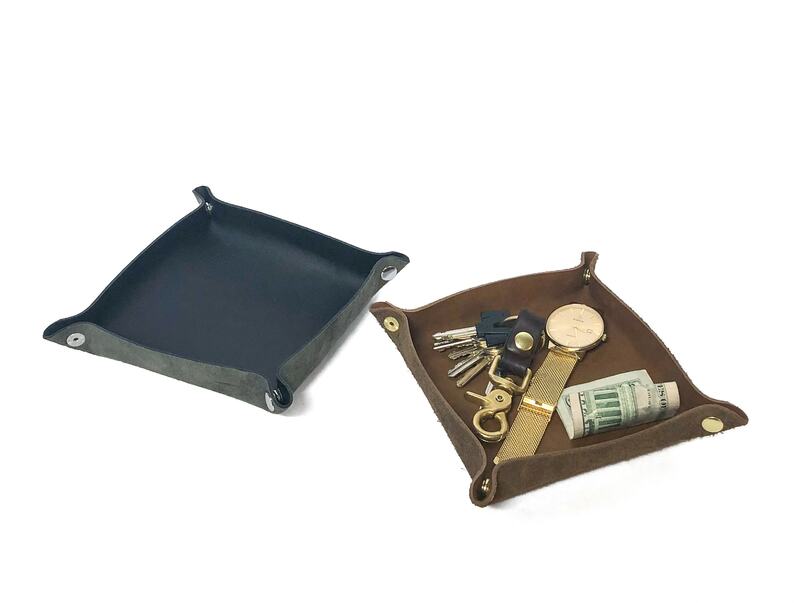 Keep your pockets empty and all your things in one place! 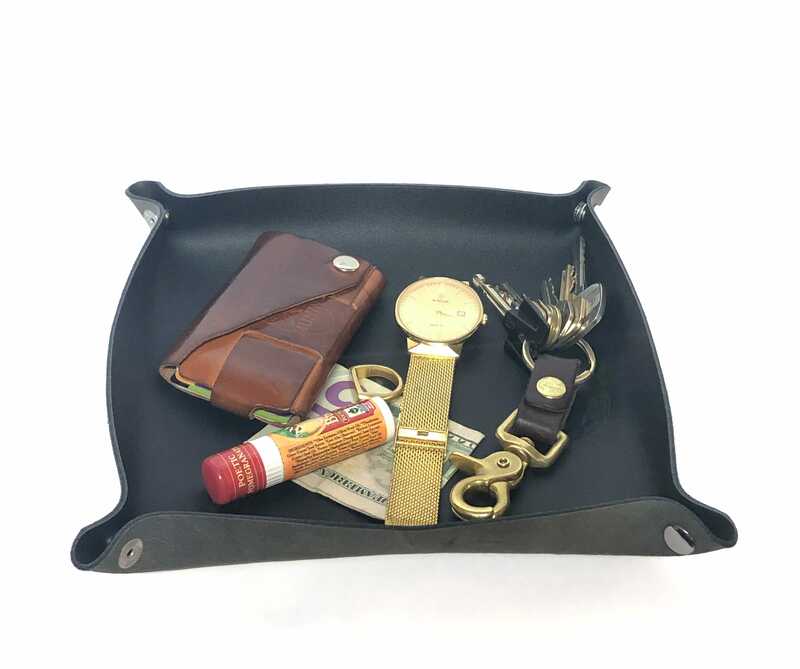 I used snaps on the corners so this little pal can be unsnapped and laid flat in your luggage! 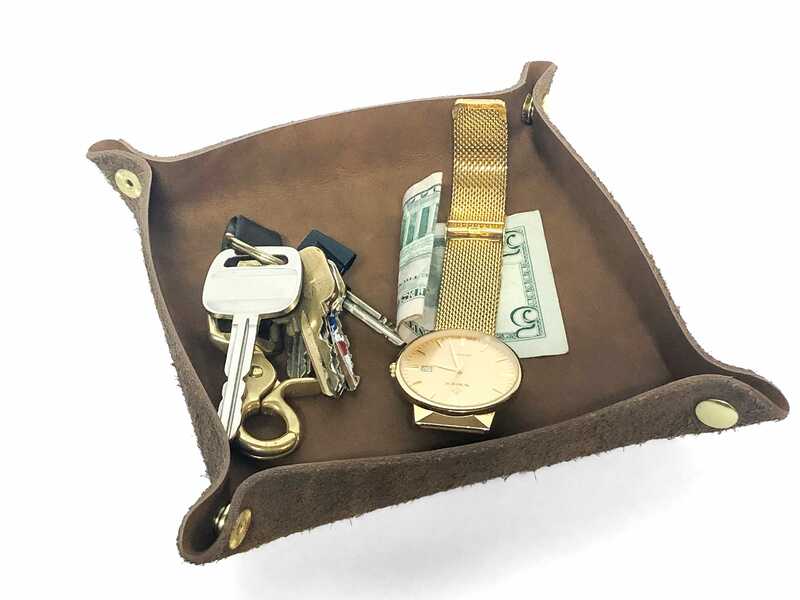 Comes in 6" or 8" squares (measured while flat), and black or brown leather.